A Tough Day at the Office? Have you ever had one of those days when you make a blunder that seems, well, COLOSSAL? If so, you might be interested in this tidbit I learned the other day. 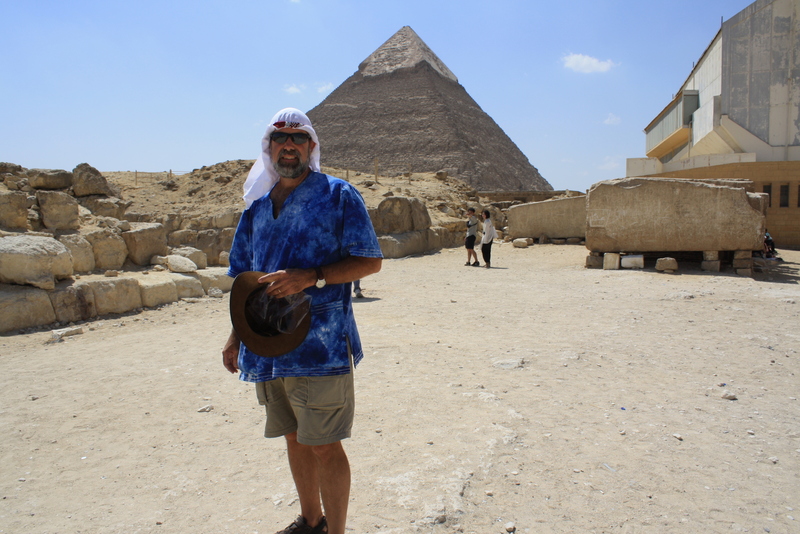 One of the highlights of our trip to the Middle East was a chance to visit the Pyramids in Egypt. 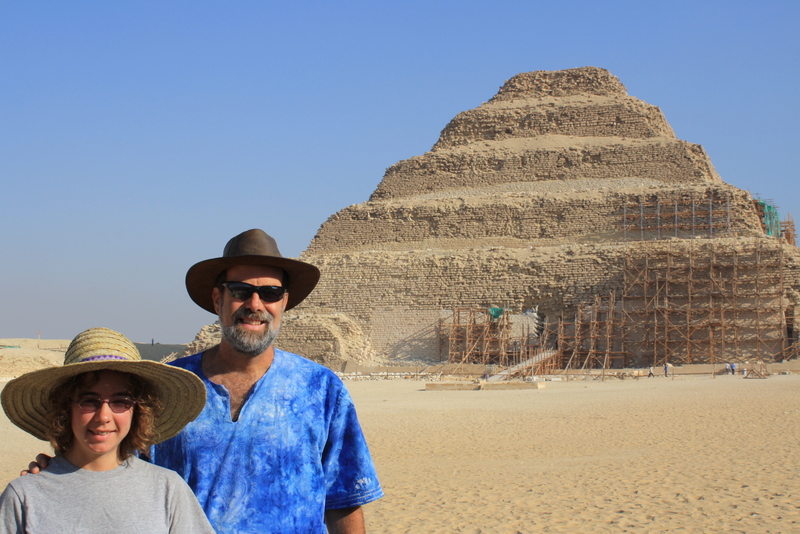 We started by visiting the complex at Saqqara, where the famous “Step Pyramid” of Zoser was built in about 2680 BC. Imhotep, Zoser’s Vizier, wanted to send his boss off in a big way, and so he came up with this design. 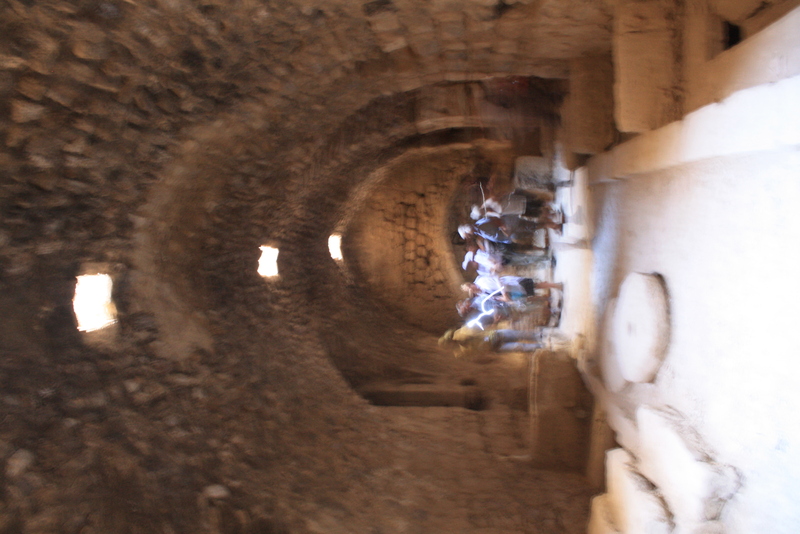 The complex contains a variety of smaller tombs, funeral chapels, and a massive hallway. Well, not long after that, Pharaoh Snefru decided that he wanted a “true” pyramid – one without steps. So he had his builders begin work on a project in Dashour, not far from Saqqara. Well, they started off fine, but once they got to a certain height, they realized that the angle of construction was wrong. 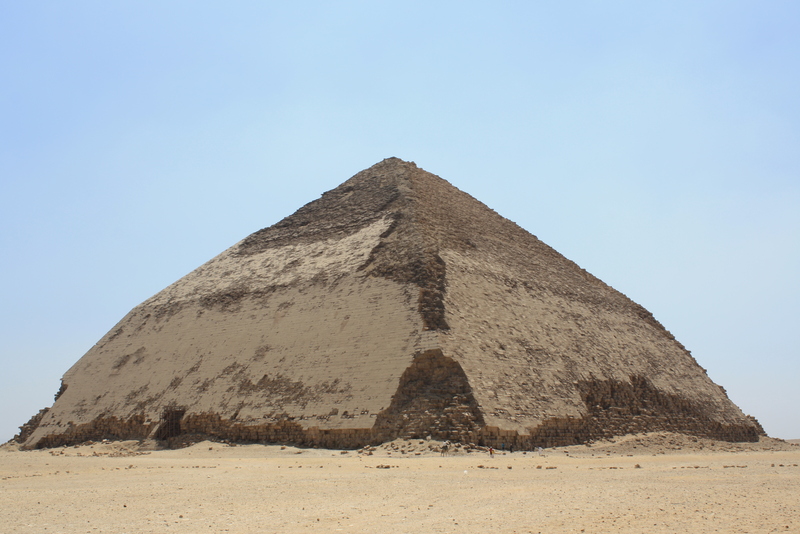 Snefru’s builders began the project using a 53 degree angle, only to discover that at that angle, the pyramid would collapse under its own weight. They hastily corrected it to the proper 43 degree angle (you know I’m such a math whiz), but the result was a pyramid that is unmistakably bent. Imagine being the foreman on that job…”Uh, boss, look, we’ve got to talk…” Yikes! But Snefru was nothing if not determined, so after they finished the “Bent Pyramid”, he had them start again from scratch and the result was the “Red Pyramid”, the first “true” Pyramid (with finished, sloping walls, etc.). 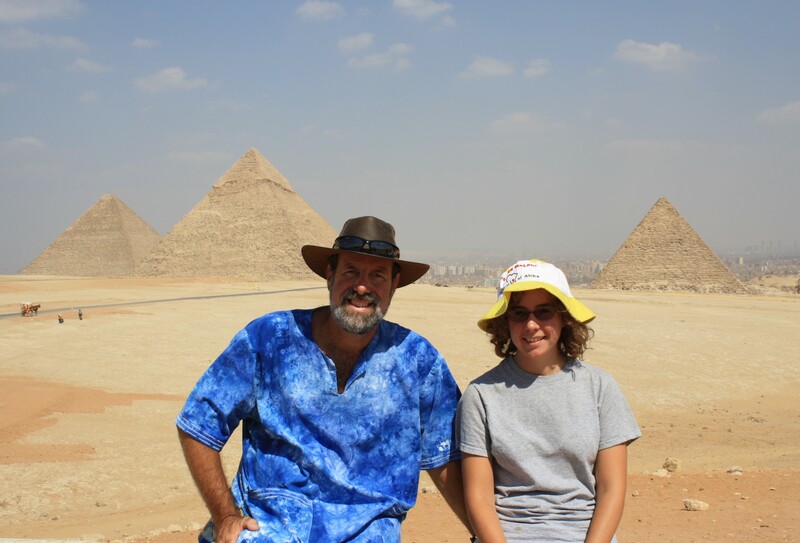 I might say that Ariel and I enjoyed going in the Pyramids, but that would be lying. 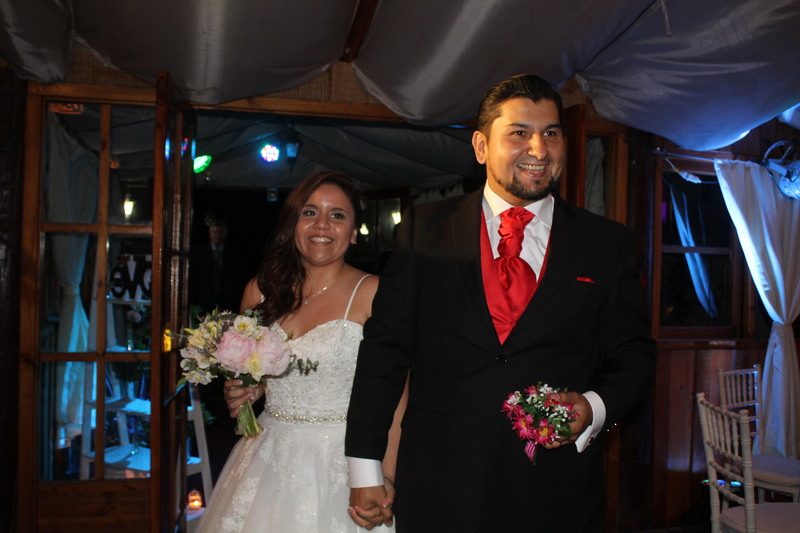 We did go in, but it was cramped and hot – the passageway was only about four feet high. 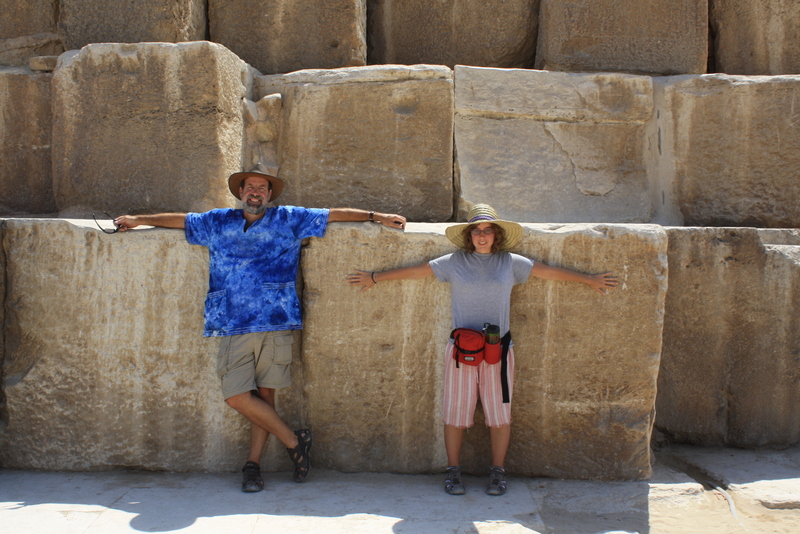 This will give you an idea of the size of the stones on the Great Pyramids of Giza. Wow! As I contemplated the day, it occurred to me that some unknown architect’s mistake has lasted for more than 5000 years. The Bent Pyramid has survived earthquakes and sandstorms and war and weather and human attempts to deface it. When I think about the times I’ve blown it, I have the optimism to hope that my mistakes will not be so durable, and that, like Snefru, I might be able to learn from them in order to reach my goal. From the first taxi driver we met to the last person I spoke to before returning to my room last night, this sincere greeting has rung in my ears during our entire visit to this beautiful and peaceful land. Jordan is not a “heavyweight” in the Middle East – at least not compared with a military giant like Israel or some of the oil-producing countries. Yet we have been blessed to be here and to experience a bit of its favor in even a few days. Here in Jordan, faith is no less important (he says, typing this at 5 in the morning after being woken by the muezzin calling the Muslims to prayer). 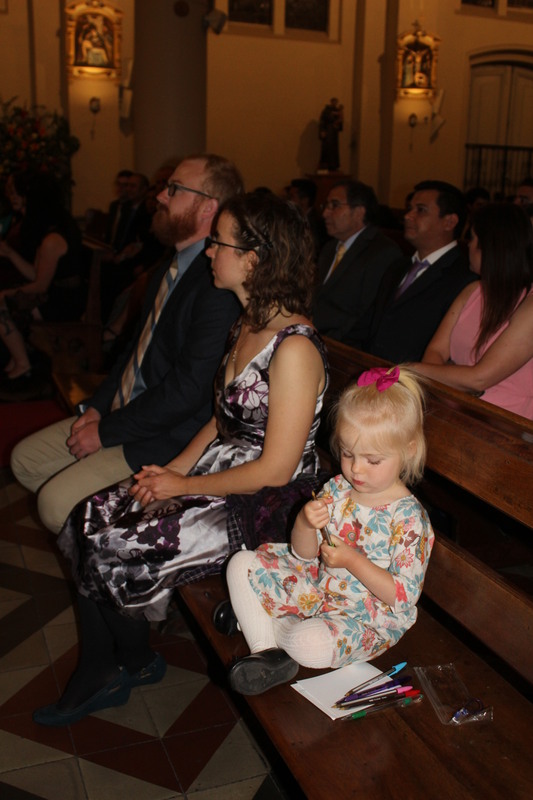 Yet somehow there seems to be more of an emphasis on seeking the ways that we can be together, even as our traditions are different, rather than in staking out the places of our difference. I will be thinking about that (and probably blogging about that) more in the days to come. In terms of the places we’ve seen and the people we’ve met, again, I must say that this is a place that is above all, hospitable. On Monday, for instance, we were driving down the King’s Highway toward Petra and decided to stop at a scenic overlook to take a few photos of the sunset. 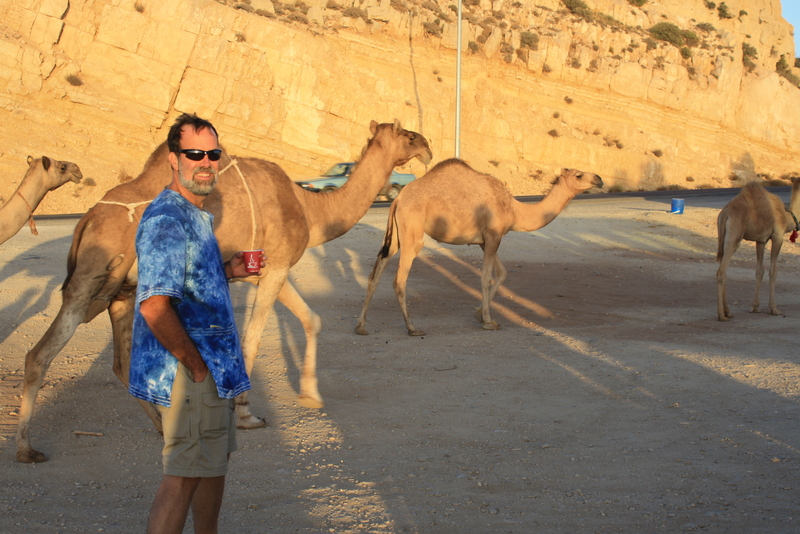 No sooner had our minivan stopped than a herd of camels appeared and their owner greeted us. When a couple of our number asked about taking photos, he wondered which specific camel they’d like to see and offered to bring them over to us. A few moments later, a young boy of 8 or 9 showed up carrying 14 cups of hot tea with sugar. I tried to pay him and he shook me off. All I could do was to say shukran – thank you. We spent a good bit of time on Monday visiting Kerak castle, the largest of the Crusader Fortresses that remains in Jordan. 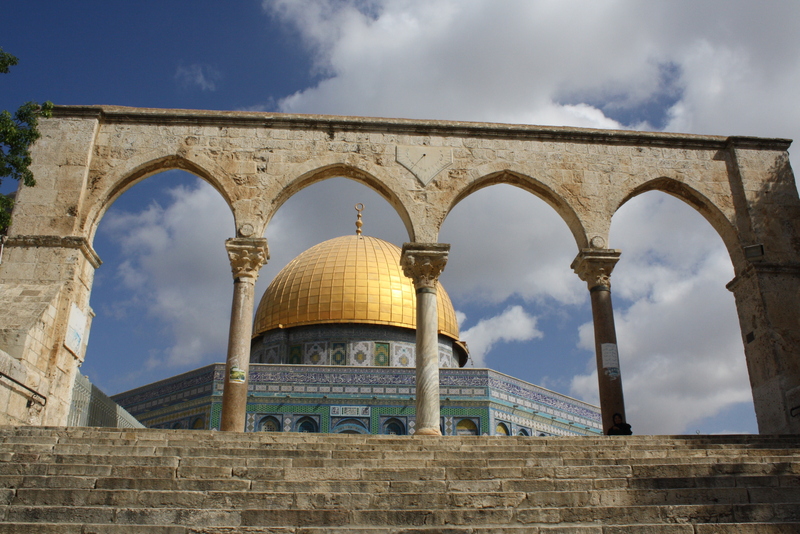 This twelfth-century edifice was the site of many battles between the Christian crusaders and Saladin; it also has served as a monastery, a palace, a market, and, under the British Mandate of Palestine, a police station. On top of Mt. Nebo, with the Promised Land behind us. Mt. 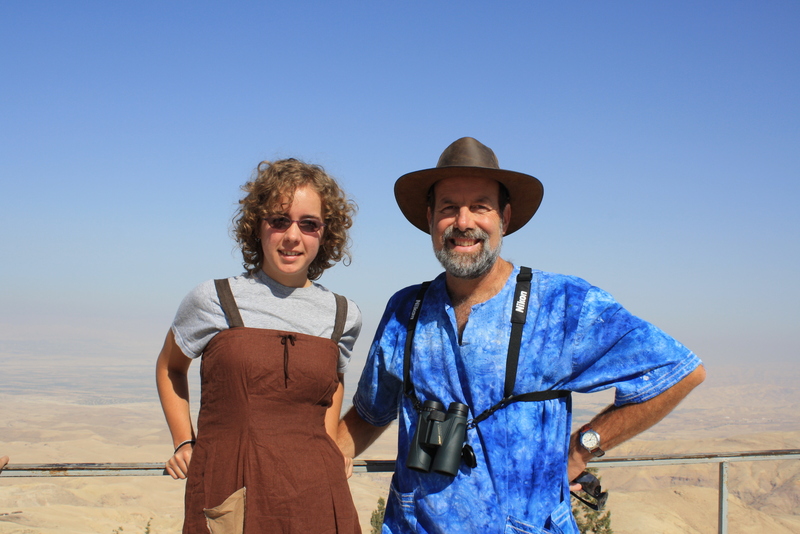 Nebo, the traditional site from which Moses was allowed to view the Promised Land, was also on our itinerary. Compared with some of the places we’ve climbed, it wasn’t really much of a “mount”, but there was an awesome view of the Jordan Valley (yes, you can see into Israel), Amman to the north, and the Dead Sea to the south. 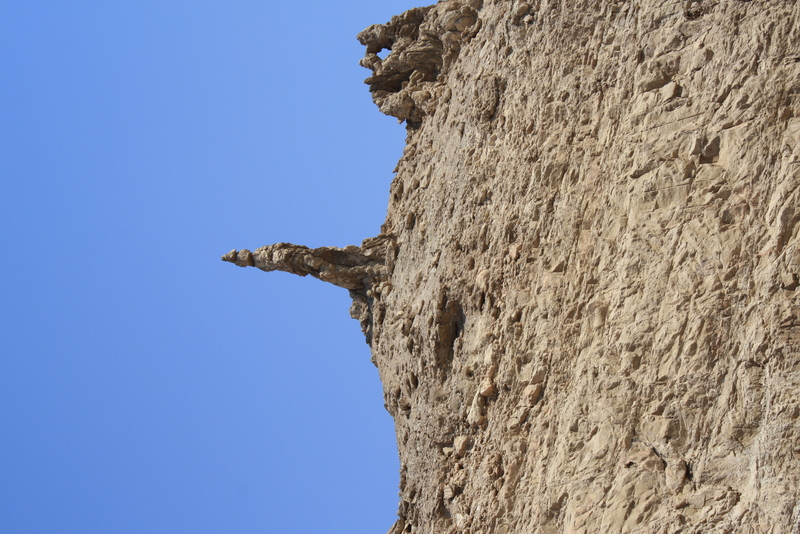 According to local legend, Lot's wife was turned into this pillar of salt above the banks of the Dead Sea when she looked back at the destruction of Sodom & Gomorrah. 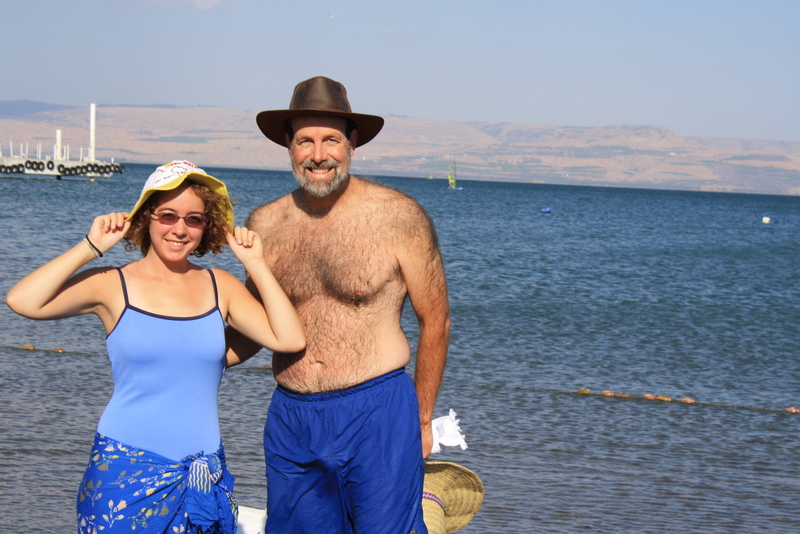 Speaking of the Dead Sea, a float there was clearly the highlight of our day. I can’t describe how FUN it was to be so bouyant and to simply lay on top of the water. We would try to “stand”, but once the water got to be about chest high, the pressure of the tremendous saline content (almost 40%) pressed us into a horizontal position. We observed a number of people who took the black mud from the sea and smeared their bodies with it, and after allowing it to dry on them, rinsed it in the salty sea. 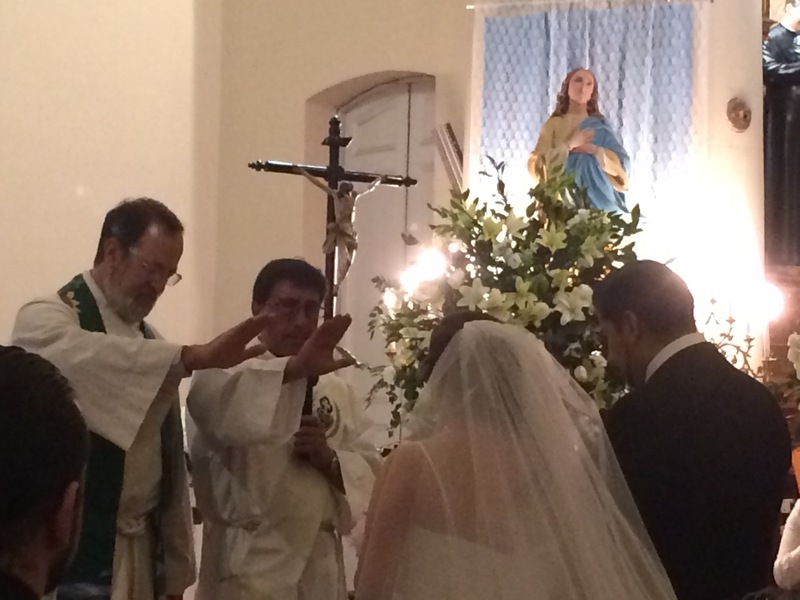 Ariel’s comment was, “When in Rome…” and so we took part in that practice. What a smooth and clean feeling we had after doing so! 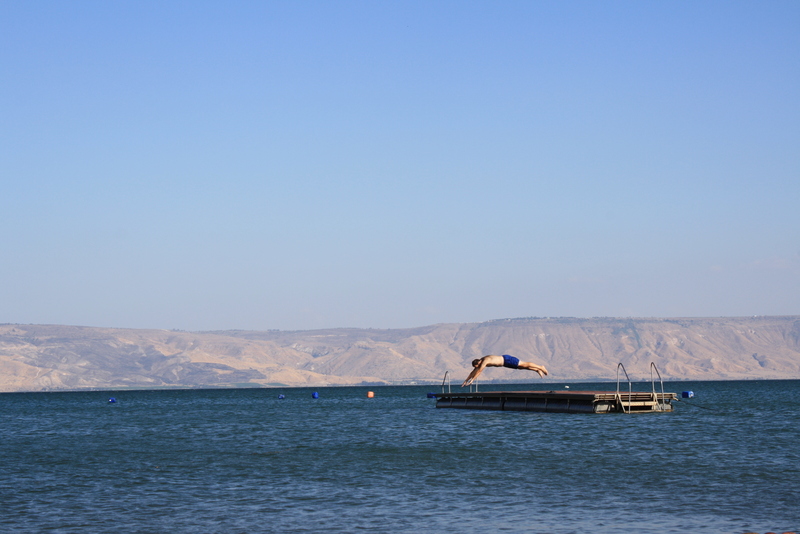 Our visit to the Dead Sea was capped off by spending time in a beautiful swimming pool (where the chlorine no doubt counteracted any of the healthful aspects of the Dead Sea mud!). 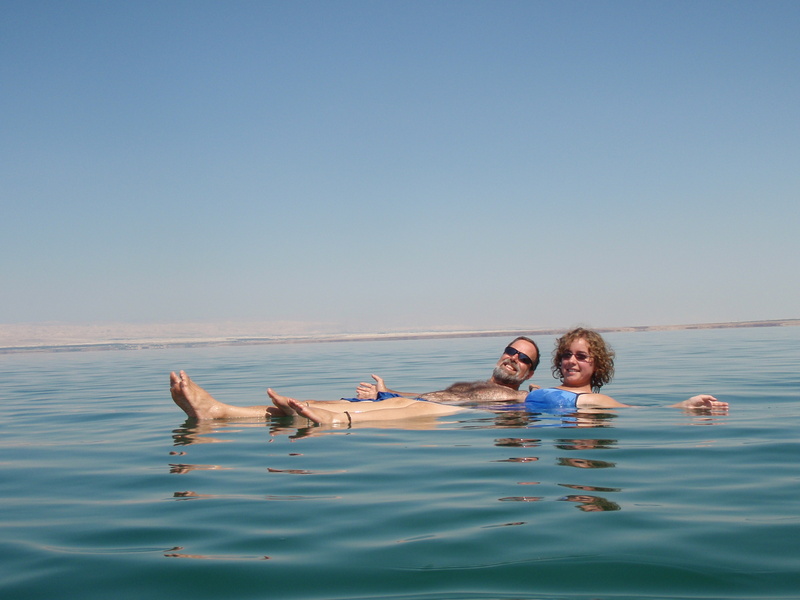 This is how we do it on the Dead Sea. Everybody floats! Our day ended with a delicious meal of mensaf – lamb that is slowly roasted and then served in a bed of rice with a warm yogurt sauce. 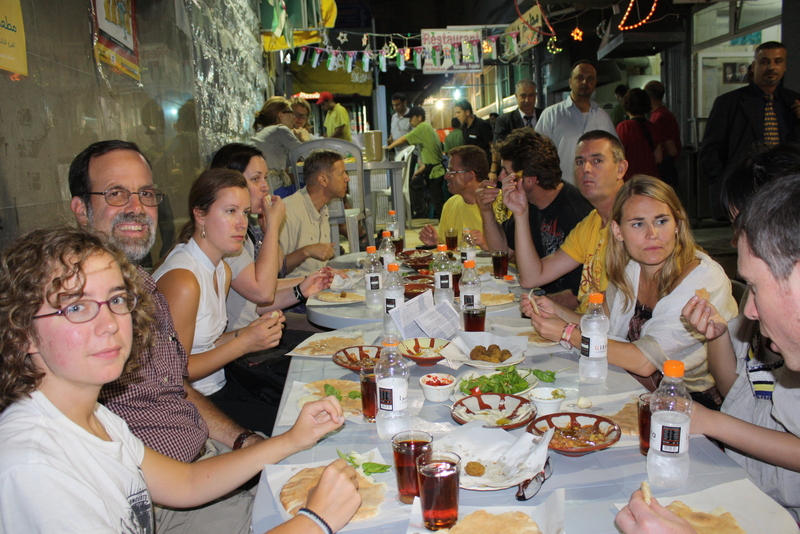 Outstanding, and a way to get to know the other ten members of our tour as well as our two guides, Faisal and Suliman. Here is our crew of 7 Australians, 3 Americans, a Canadian and a Scotsman enjoying dinner together. 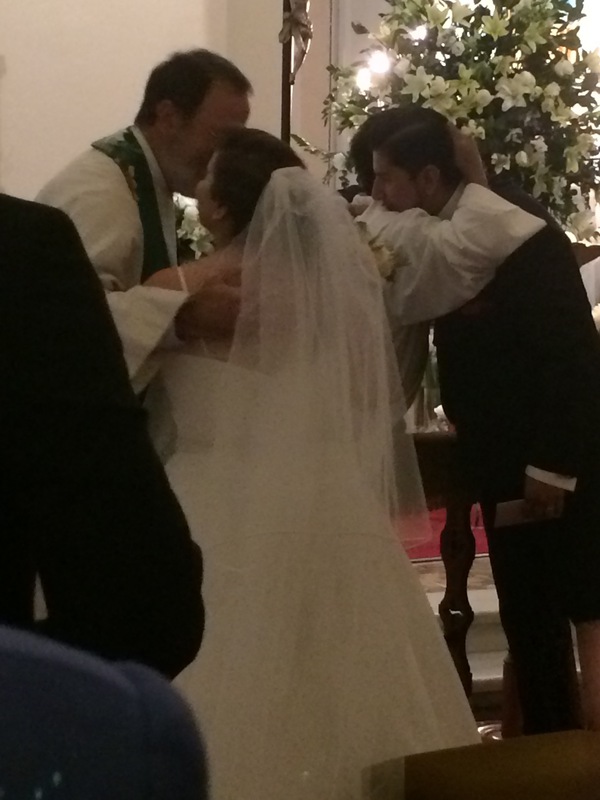 I’ve said it before, and I’ll say it again…I am a blessed, blessed man. Al-hamdu lillah (thanks be to God). How Do You Spell it? A-W-E-S-O-M-E! 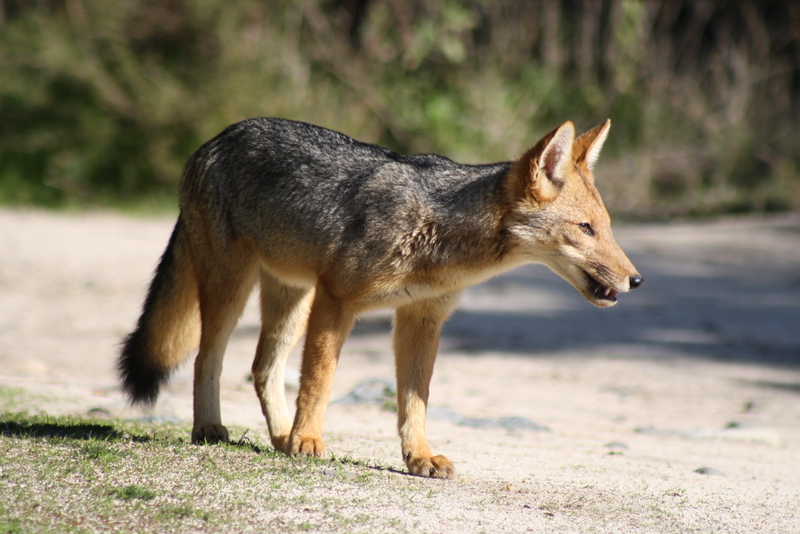 When we planned the sabbatical, we had anticipated visiting the rain forest and Amazonia in Bolivia. For reasons not entirely clear to me, those plans washed out and we ended up having the chance to visit the Madre de Dios region of Peru. As you have seen, that was a clear “win” for us. 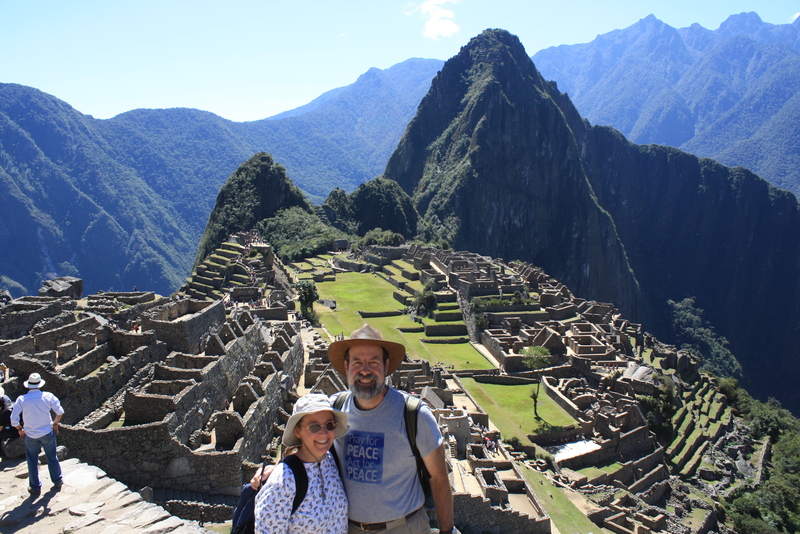 A secondary benefit from the change in plans meant that we could “add on” to our itinerary a visit to Machu Picchu. I have to tell you, I’ve been writing this name for three months now – in journals, in letters, in blog posts…and I still can’t remember which word gets two “c’s” and whether or not both of the words get an “h”. It’s a mental block, I guess. 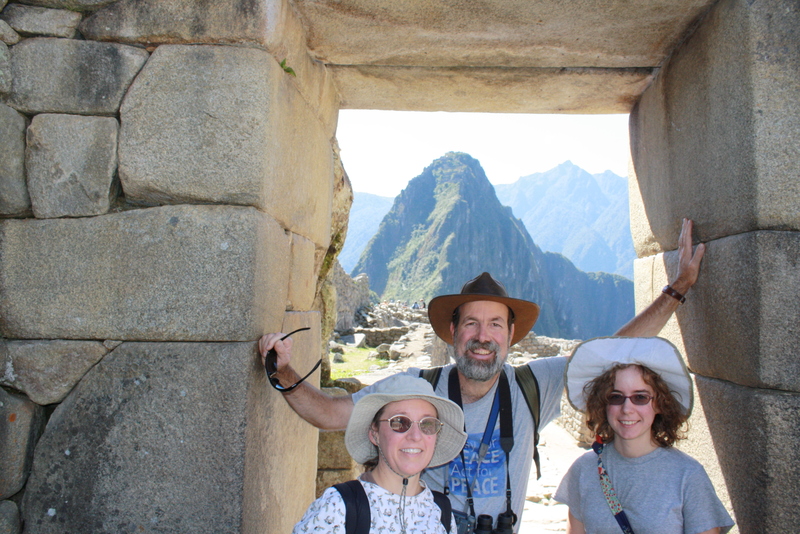 I hadn’t heard much about this “lost city of the Incas” prior to planning the trip, but we soon discovered that it is Peru’s most popular tourist attraction. We can see why after having been there. Machu Picchu was inhabited by the Incas in the 15th century. There are no records of the Spaniards ever having discovered the place – which is not surprising, because it is essentially invisible from below. There are two main routes into the town of Agua Caliente at the foot of the monument. 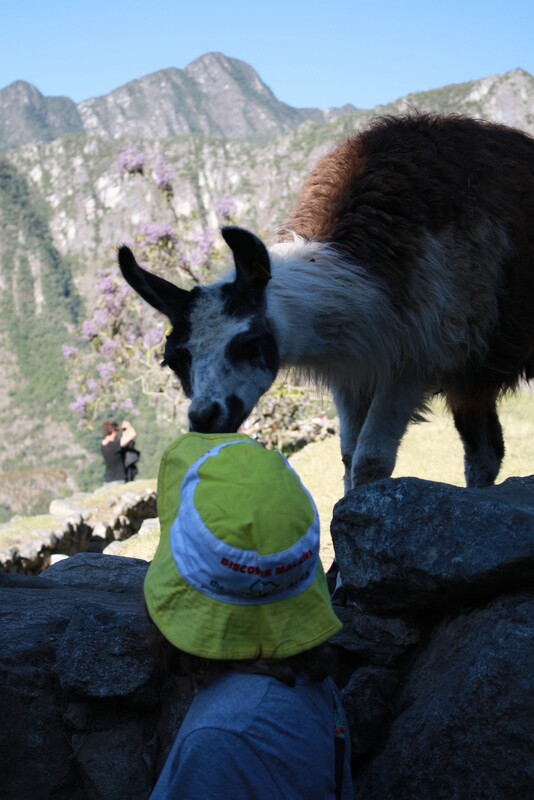 One is by foot on The Inca Trail. This is a favorite for adventure enthusiasts and serious hikers – it’s a five day trek across the old highways used by the Incas hundreds of years ago. While we bet that it’s amazing, it was not the route for us. The other way to access the town and the monument is by rail – there is a single line in and out of Agua Caliente that brings tourists, supplies, and commerce to that village each day. 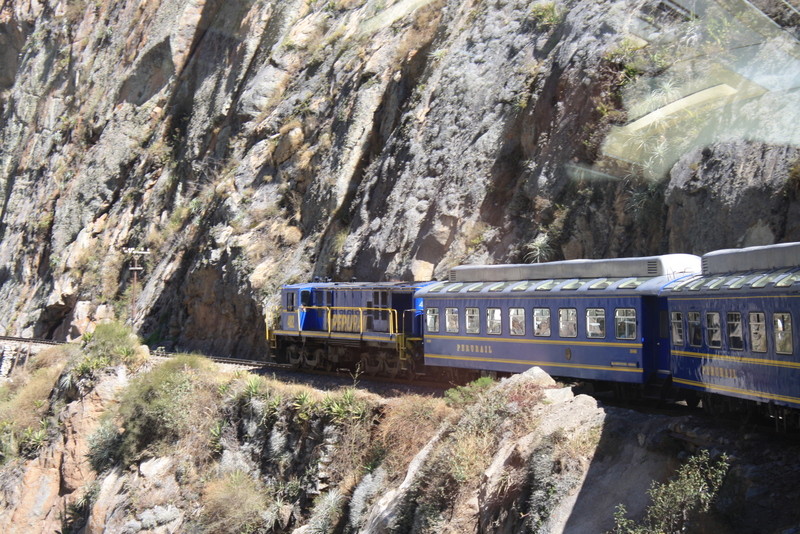 We boarded our train and headed for the city…and when you see these photos, remember that this city is actually LOWER than our starting point of Cusco (about 3,000 feet lower!). We descended from the highlands into the jungle and then, at the base of Machu Picchu, took a shuttle bus up a series of switchbacks that led us to the plateau that the Incas had carved out for themselves. This village was entirely self-sufficient: there were agricultural gardens built into the slopes and a spring was diverted into the heart of the community. 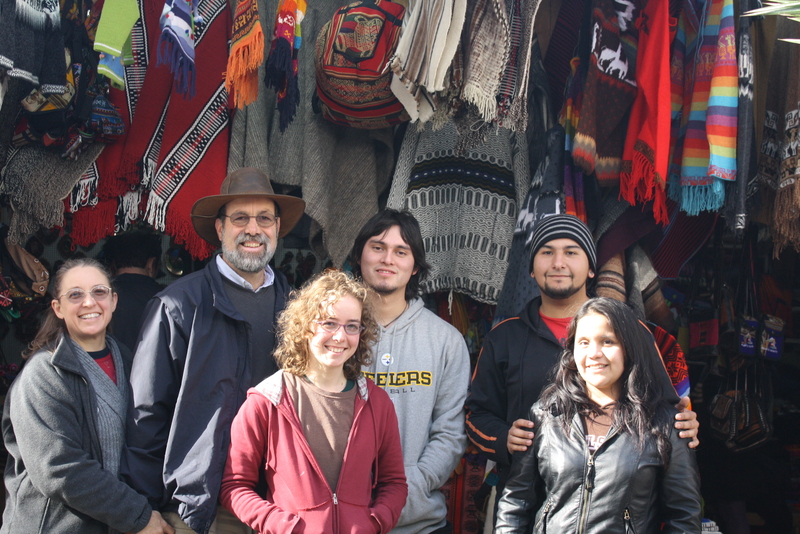 We were impressed at the astronomical knowledge of the Inca people. The Temple of the Sun, for instance, looks out onto a small notch in the mountain across the valley through which the sun rises on June 21 – the Winter Solstice in the Southern Hemisphere. Other rock monuments inside the village indicate the shape of the “Southern Cross” and point to the four cardinal directions. Inside a "classic" Incan arch. Note the way that the stone is fitted together without the use of mortar of any sort. Another aspect of the visit that impressed us was the Peruvians’ desire to keep the monument as natural as possible. To that end, there are no bathrooms inside the monument. There are no vending machines or concessions, either – just a lot of ruins, some trails, and a great many questions. Just outside the gates are all the conveniences one needs – but within the structure itself, it is remarkably similar to the way that it was laid out when Yale’s Hiram Bingham re-discovered the site in 1911. We didn’t know what to expect when we signed on for this part of the adventure, but we are delighted to have had the chance to visit this amazing edifice. We were humbled by the exacting geometry and other scientific knowledge that these people used to develop this city, and left there with an appreciation for the power of human ingenuity and creativity. 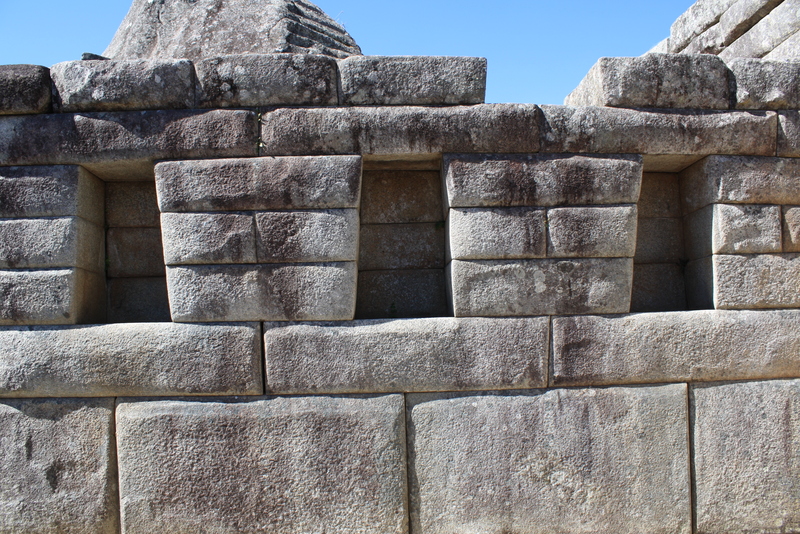 More "typical" Inca Architecture; these niches were probably designed to hold idols used in worship services. You have to admit, this is a llama with good taste in haberdashery! 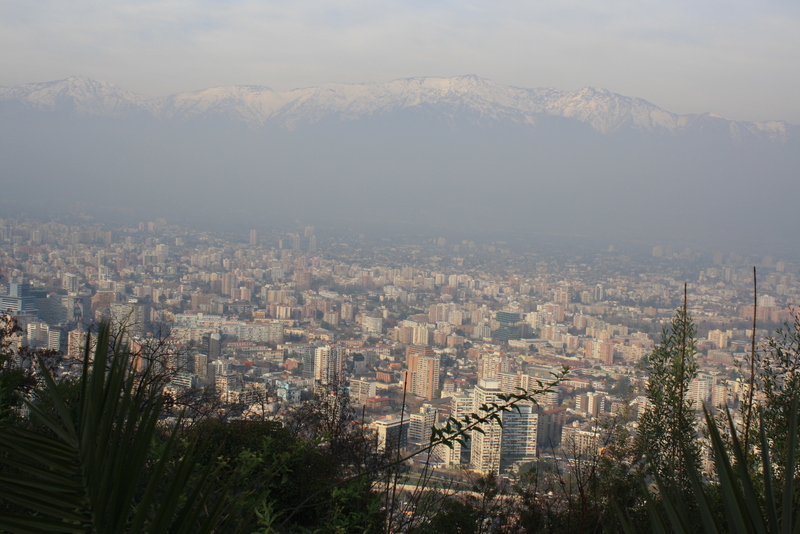 As we prepare to leave Santiago and head north to the next leg of this journey, it occurs to me that we really haven’t talked much about the city where our adventures are taking place: Santiago, Chile. 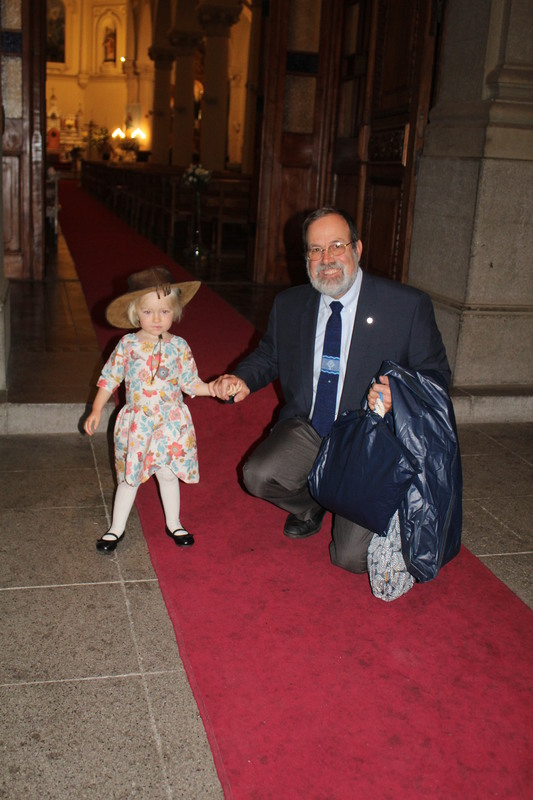 If you are the kind of person who wants maps, details, and statistics, you can read more about Santiago and its environs. We were very surprised by the immensity of this city. The population of the metro area is about 5.5 million people, which makes it a touch bigger than, say, Philadelphia (metro area of about 5.2 million). 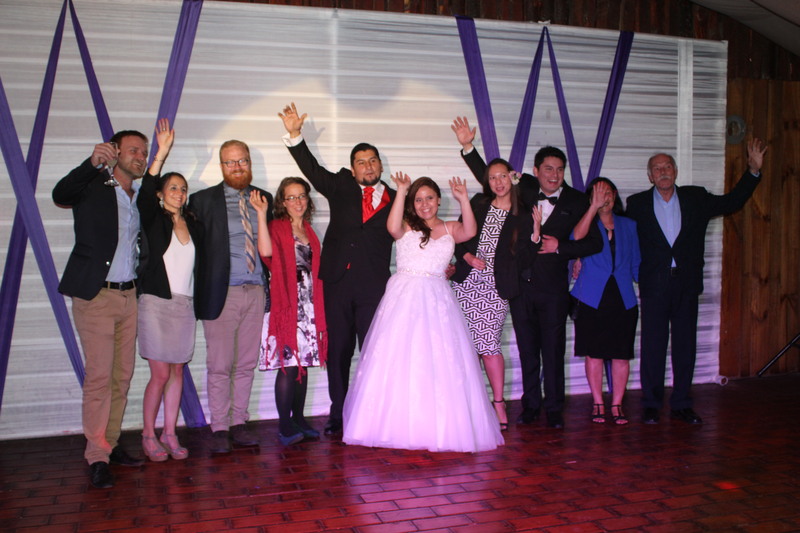 It is nestled between the western base of the Andes mountains and the Pacific Ocean, and while I´ve been in large cities before, I don´t know that I´ve been in one that has felt this sprawling. Mandy and her family live near the center of this metro area, and we have remarked time and time again as to how much time people must spend in their commute. Every road seems to be congested. The major arteries have three or four lanes for traffic and two for buses and taxis only, and still, it’s always crowded! Yesterday, as we drove from a shopping center in the north of town to a site in the center of the city, after we’d been on the road for about forty-five minutes, I asked JuanK if we were close. He looked bemused, and said, “No, not really.” I have never – anywhere – driven for an extended period of time in such traffic. One of the reasons for this may be the fact that if the city has a series of beltways or parkways, we haven’t discovered them yet. Every trip is marked by endless stoplights and lane changes – which makes driving this minibus a real adventure. 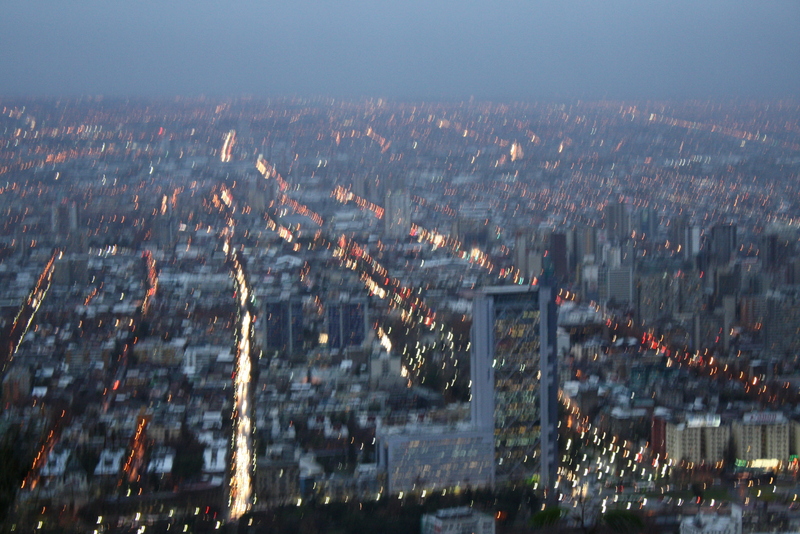 A side effect of the traffic is the tremendous amount of smog that envelops the city each day. 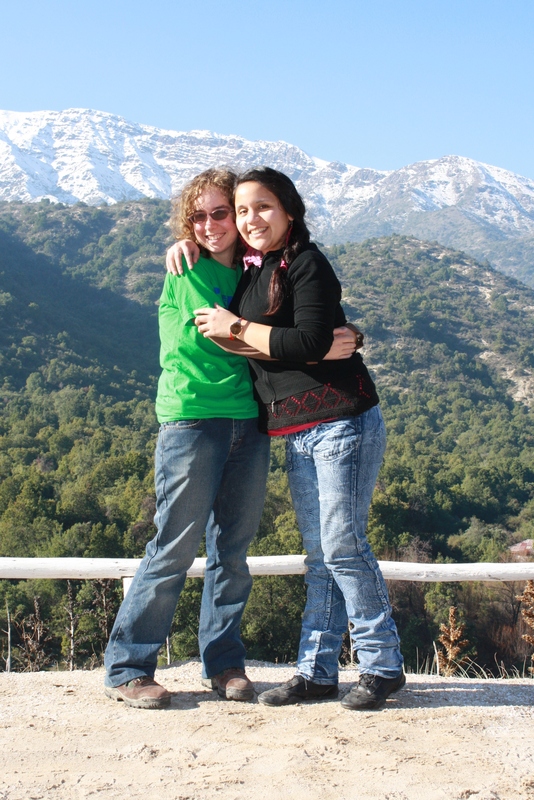 In the photo below, you can see the Andes – just barely. 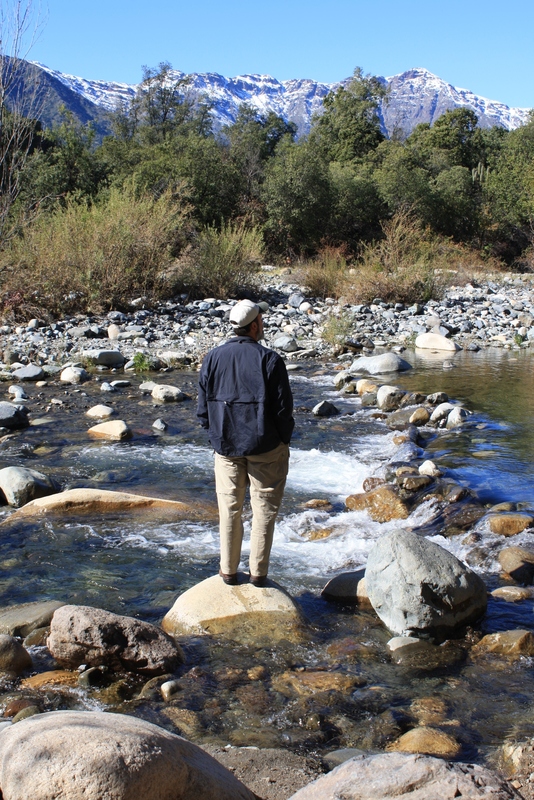 Chileños have commented as to how nice it was to get out of the city to a place where we could see clearly – as we did the other day, when we visited a park about two hours away. 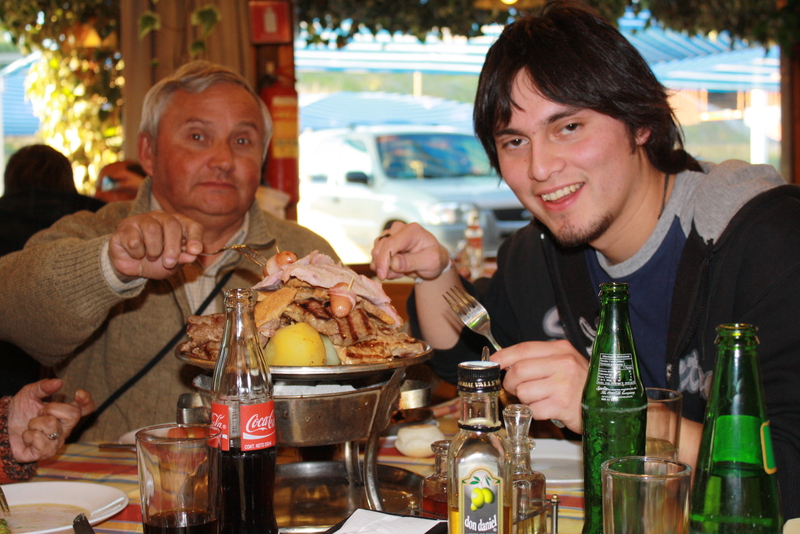 Uncle Eduardo and JuanK with HALF the meat that was ordered for our party of eight! 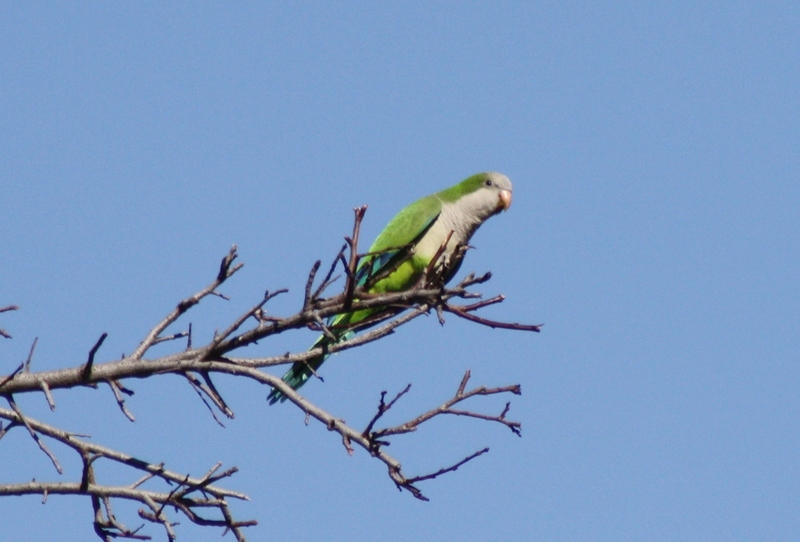 Monk Parakeets are an invasive species from Argentina and common throughout the city. 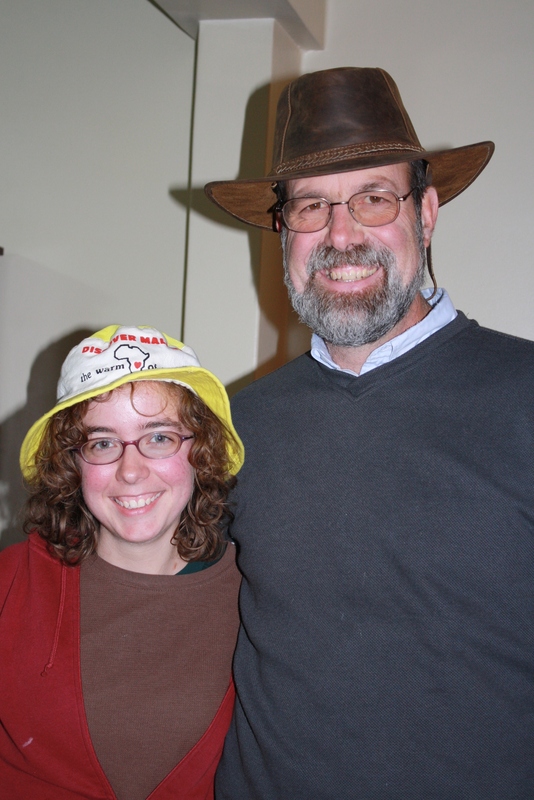 After telling me that "Being Indiana Jones isn't cheap", Mandy bought me the hat! 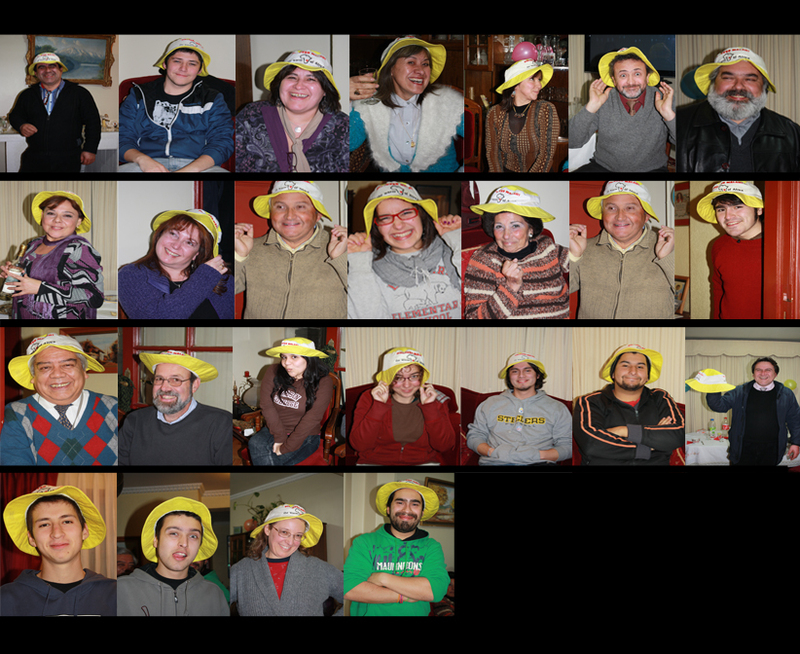 If the hat fits...our South American family gets in on the fun! 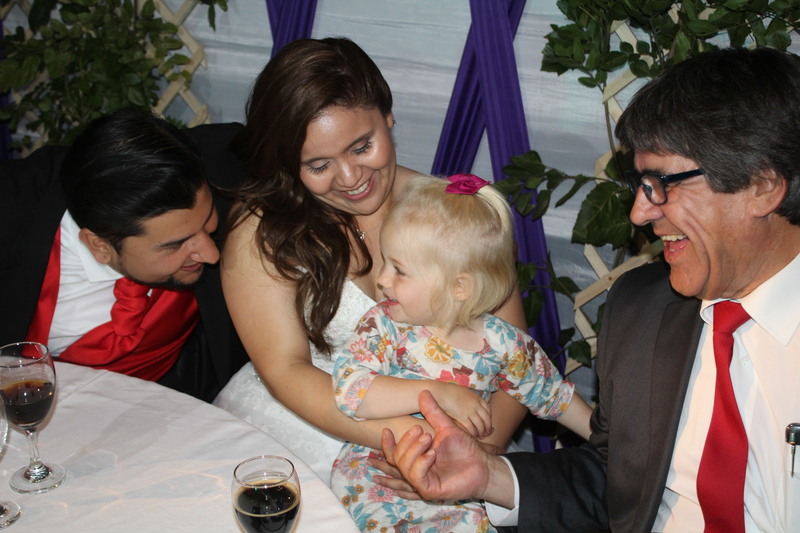 So later today, we’ll head to the airport having said hasta luego to Juan Carlos, Elizabeth, Mandy, JuanK, and the rest of our friends and family here. We’ll get on a plane and head north to Lima, Peru – but more about that tomorrow. For now, we are grateful for having had this opportunity and eager to see what will grow from the seeds that have been planted. You know, when I left Pittsburgh, I threw the yellow hat in my backpack because I didn’t want to be another American in a baseball cap viewing the world. 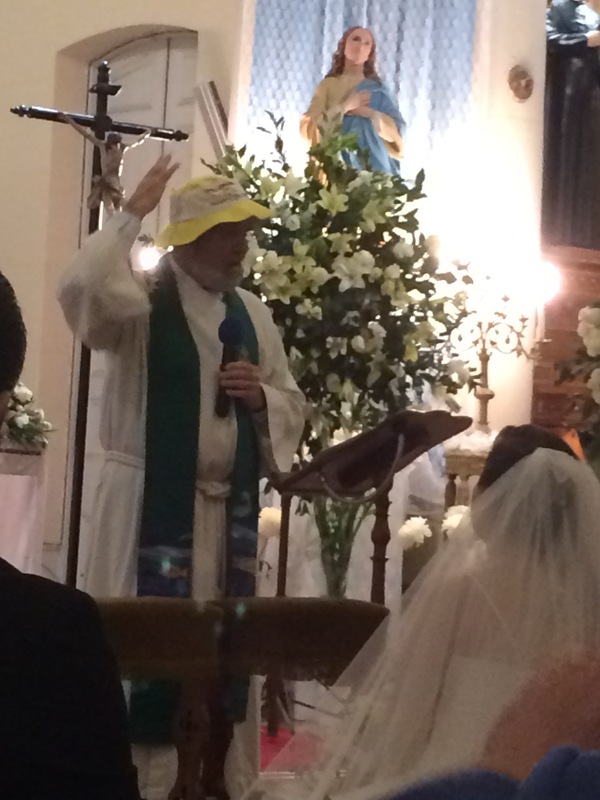 And, I thought, maybe, the hat would keep the rain off me. Who knew that it would be the source of so many jokes and laughter? Look for pictures of Ariel in it in the days, weeks, and months to come. And when Mandy caught me eyeing up the new headgear, and threw in a comment about Indiana Jones, well, I thought that it would make interesting fodder for reflection as to who gets to decide who I am. How wonderful that a part of who I am now includes these memories and this laughter. I am grateful for the gift of growth and for new opportunities to become a new person. You´re a part of that, and I appreciate it. 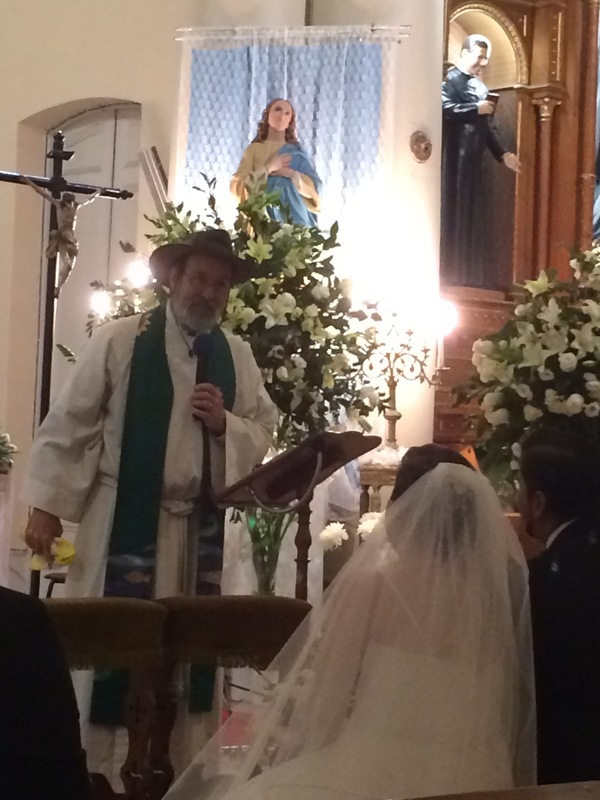 For now, we’ll sign off from Chile and say thanks for your prayers and support.